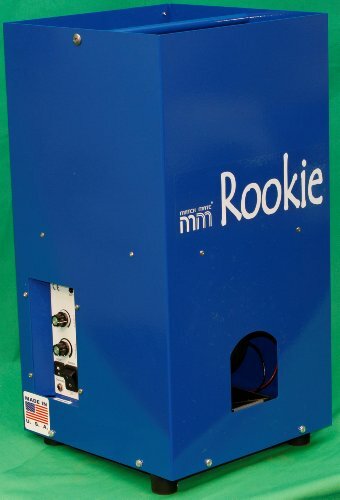 The Rookie is a compact ball machine that is great for beginners. 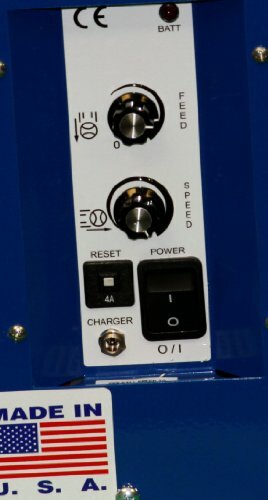 It is the only unique single wheel that works well for the quickstart program. The machine is for beginners and youth. Top speed is 30 and distance approx. 50 ft. Plus it is fun and can be used on the courts or at home! Ball speeds range from a soft 10-foot toss to a 28-mph. Depending on which court and ball, the Quickstart Rookie adjusts as well. On the 36' court with the stage 3 felt ball - the Quickstart Rookie shoots it out at a top speed of 18-20 mph from baseline to baseline. If you desire to delivery the ball from baseline to serviceline, just notch the ball speed down and the little future pros will have a ball! Weighing just 22 lbs, the Rookie is the lightest ball machine available. The rechargeable battery allows for up to five hours of continuous play time. With an aluminum outer shell and urethane pitching wheel, the Rookie is ready for years of use. 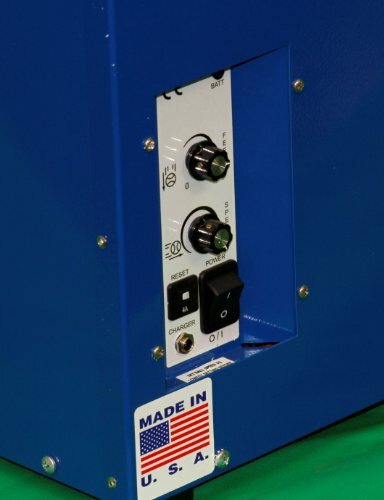 All internal components are made from high-grade aluminum or steel. 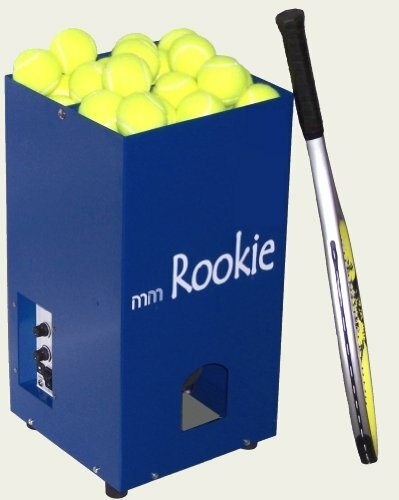 *Ten-second ball feed delay on start-up ensures no wasted balls *User friendly controls *Smart charger prevents overcharging of the internal battery *Built-in transport handle *Soft toss at low ball speed settings is suitable for small children *Manufactured and Assembled in the USA Using the Rookie requires nothing more than positioning the machine on the tennis court, setting the ball speed and feed, and turning it on. 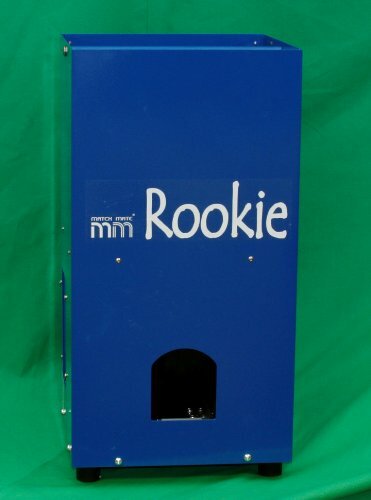 The Rookie will kindly wait ten seconds before it starts throwing balls, allowing the user to get in position. The heavy-duty battery ensures that the user will wear out long before the ball machine does. 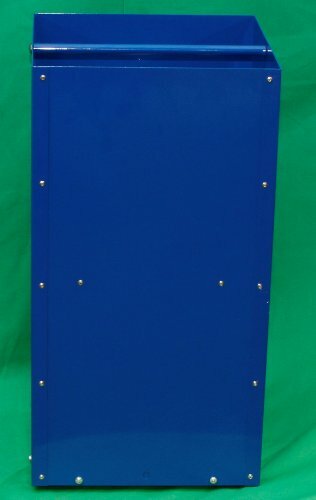 Heavy Grade Aluminum Outer Shell - but weighing only 22 lbs!